When you think of Christmas, what flavors or tastes come to mind? Tart cranberries? Eggnog? Peppermint? 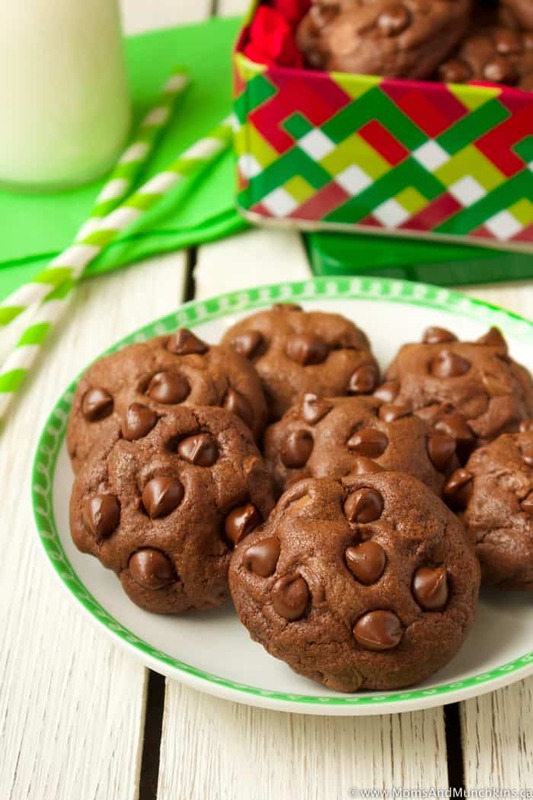 Chocolate and mint is one of my favorite combos – especially during the holiday party season! These Mint Chocolate Chip Cookies are great for those holiday baking exchanges and they freeze really well so you can start making them now and freezing them. Warning though, I put mine in the freezer but I kept eating them straight from the freezer instead of saving them for closer to Christmas. I finally had to have a friend come over and take them out of the house. Ha! When it comes to chocolate, I seriously lack willpower. 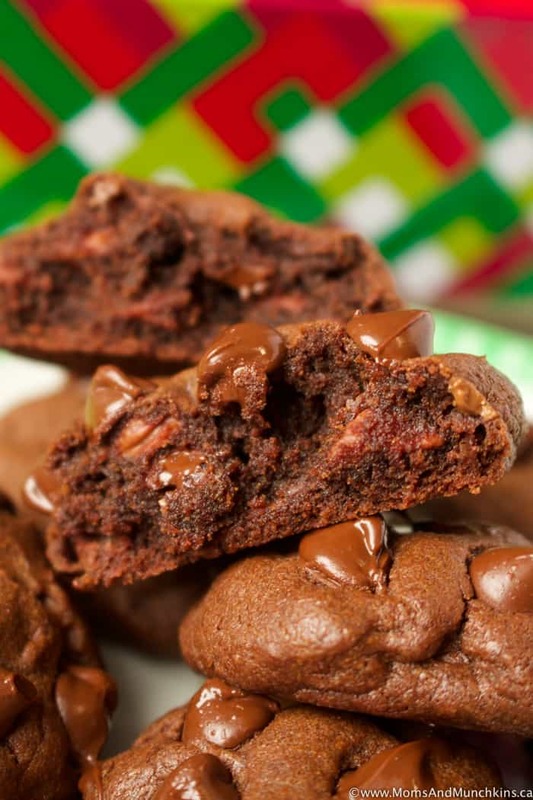 This recipe makes 3 dozen small cookies but if you wanted to make these into larger two tablespoon sized cookies instead, increase the baking time by about 2 minutes. Add in eggs and peppermint extract. Beat just until mixed. Stir in milk chocolate chips and 1 cup of the mint chocolate chips. Set the other ½ cup of mint chocolate chips aside for now. Form cookies into 1 tablespoon sized balls and place (2 inches apart) on baking sheet. 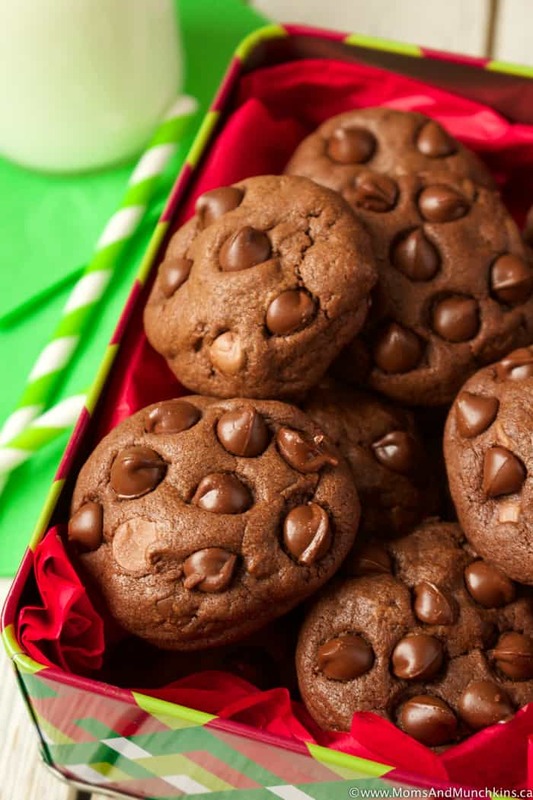 Use the remaining mint chocolate chips to press a few into the top of each cookie dough ball before baking. 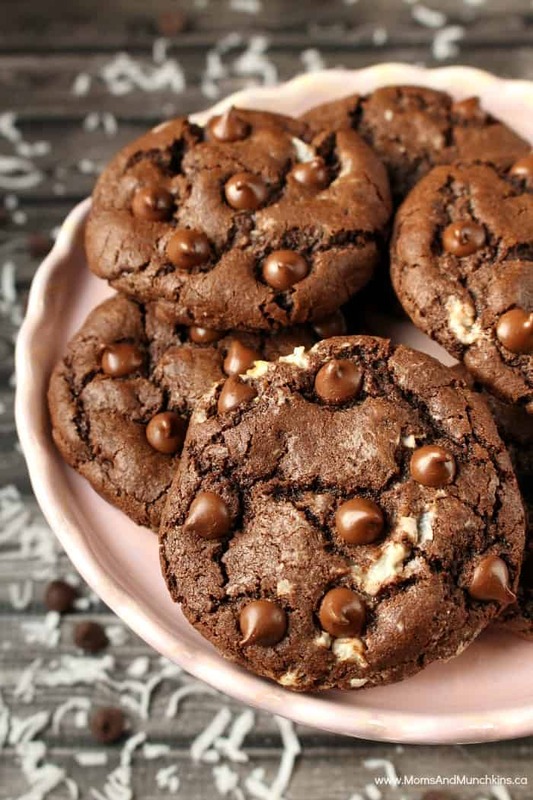 Double Chocolate Coconut Cookies – chocolate & coconut is such a delicious combo! 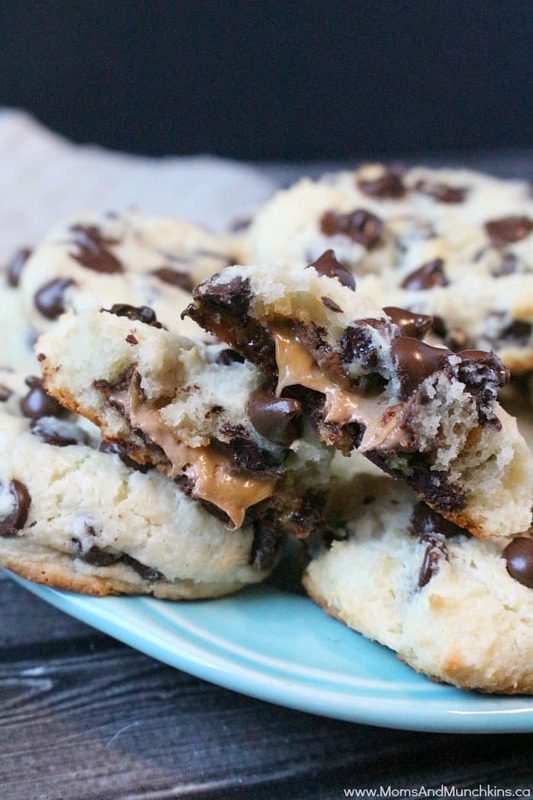 Chocolate Chip Caramel Cookies – these tasty cookies start with a boxed cake mix!